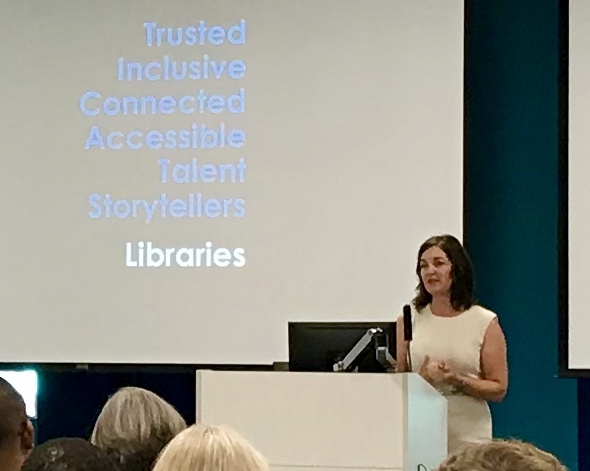 Executive Director Melanie Huggins provided an inspiring session on the transformation of the library and the strategic planning that went into the process. She provided an overview of the renovations of the physical facilities which align with the Library’s mission to “help our customers learn, create and share.” Huggins shared specific goals and outcomes and discussed the importance of creating an entrepreneurial environment in the contemporary 21st Century Library. Work through the Issues Forum, the Public Policy Committee and the Executive Board to continuously focus attention on business-friendly procedures and assist with growth opportunities to create workforce development opportunities.